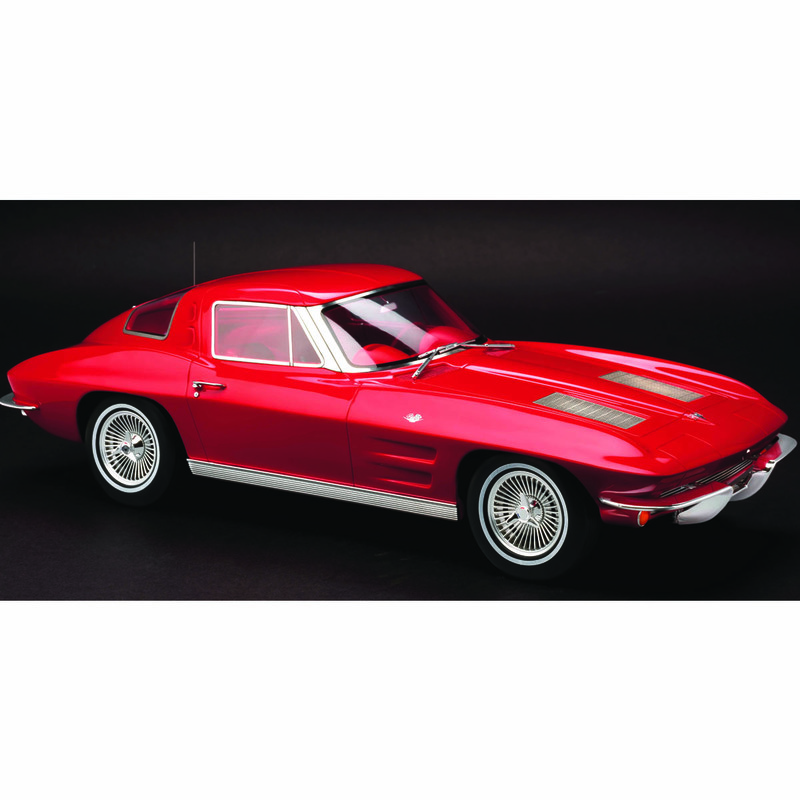 Pure American nostalgia has been captured with this beautiful 1:12 1963 Chevrolet Corvette Stingray! 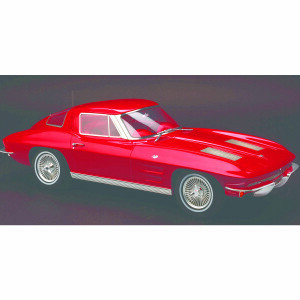 This sealed, hand crafted resin model features perfectly sculpted body lines, real rubber tires, fully detailed interior and a museum quality paint job. Only 300 pieces of this model were produced so place your orders now as quantities are very limited.